I heard that somewhere; the detail. This term has particular significance to me as sits well alongside my oft mantra on the importance of “getting it right” for each child particularly at this crucial time for brain growth. We continually evaluate what we do, but maybe make the mistake of believing a ‘stunning performance’ is something only to aspire to and not to be achieved. To achieve stunning and be great, you have to put effort and focus on excellence. Our software not only takes away the routine tasks that draw on the energy required for excellence, but it also helps the user to focus. These can be positively desirable, but for full effect, they need to be targeted towards the same path and goal. Also to get things achieved in the time available. We can only measure success by historical achievement which may no longer be relevant. Rather than what is happening by staff now, at this moment in time, as they deliver the EYFS. This we would aspire; to be excellent and stunning or great, and maybe it would be easier if we felt this was achievable. spark EYFS software avoids lots of traditional long-handed observations including all the grammar, spelling and punctuation errors that may accompany those. Also, the time needed for senior to check these. The detailed EYFS Observational Journey within spark has enabled us to meticulously cross-reference everything***** for the educator while the Learning Journey is compiled. We have thought through processes and set out systems to streamline events. Plus there is an emphasis on evaluating progress and practice, by adding new features for a ‘continuous improvement’ ethos. So there is a great deal contained in sparkPRO particularly, poised to be taken advantage of and work to be ‘great’. 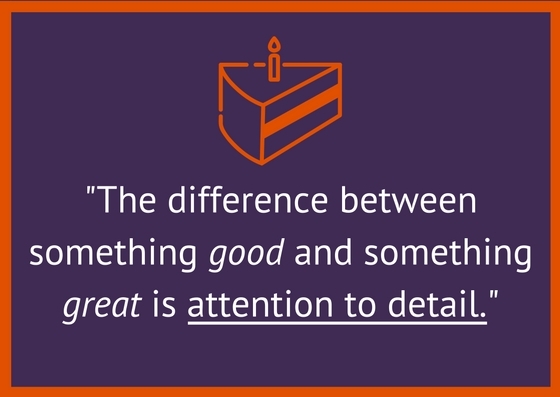 These are spark’s main benefits of giving attention to detail. 1st. The best customer service is about, what is known as ‘consistency of delivery’. The detail ensures everyone involved, can do this and therefore, each child, parent and the staff team member benefits and the business does too. 2nd. Educators can work with the children while they record and plan without interrupting the interaction and learning flow. The detail, allows everything to be quick and simple. 3rd. Guides and prompts, ensure educators can keep track of their work, so nothing is overlooked. 4th. The software gives supports to everyone involved, including parents, so they are able to assess, to record and plan thoroughly. Also, to match against the child’s (or groups) varied interests and needs. 5th. Children are not adversely affected by the weaknesses of the skills and competencies of the Key Person they are allocated. As they follow the features in spark it promotes equality of opportunity. 6th. Parents have ongoing support in how to help their child at home. spark offers, detailed options and not a ‘one size fits all’ approach, so it is appropriately easy for parents to participate. 7th. ‘High-Quality Provision’ is sought, as is the recognition of it, by parents, external professionals and regulatory bodies, such as Ofsted, so the detail allows standards to be accurately measured. 8th. ‘Touch of a button’ reports are accurately provided, which are clear and easily comprehensible. 9th. Training needs and areas for improvement can be precisely identified. 10th. The impact of interventions can be subsequently and accurately measured in a similar way, which will demonstrate improvements in children’s outcomes. 11th. Tracking staff software interactions and their self-evaluations ensure every team member is appropriately focused. ***** sparkESSENTIAL meticulously cross-reference everything to – Areas of Learning, Development Matters Statements or Early Years Outcomes and the Characteristics of Effective Learning. sparkPRO also cross-references observations to the Sustained Shared Thinking Strands and ECaT. Plus there are evaluative tools to assess the quality of teaching.